Just a two after Tutubi shared his time with the kids of Damas Filipinas orphanage in Manila, he again got up early on a Saturday morning to join officemates in giving gifts and cheer to underprivileged children of three orphanages and foundations the fist of which is Asilo de San Vicente de Paul in Manila, Pangarap Foundation in Pasay City and lastly Bahay Maria in Makati. He met up with the group at Starbucks, Pearl Plaza on Valero St, Salcedo Village before hying off to Asilo. 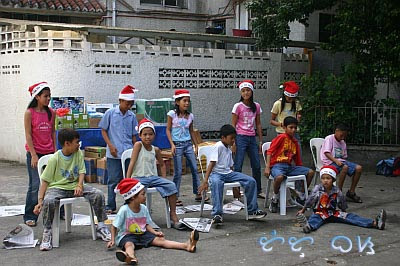 From Asilo the group drove on U.N. avenue passed by WPD headquarters, WHO office, Manila Pavilion then turned left at the corner of Roxas Boulevard, saw American Embassy, the new devoid-of-people Baywalk, CCP Complex, HK Sun Plaza, then left again at Libertad Street. A right turn Taft Avenue with the street filled with people buying or hawkers selling their wares on the busy street and newly-constructed Pasay Mall and Public Market. The next stop was Pangarap Foundation where former street children are also housed. 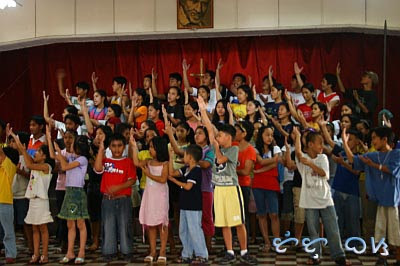 The children of Pangarap (Dream) performed a heartrending play as if to dramatize their plight before the foundation took them under its foster care. After the brief visit, headed back to Makati via rockwell where the skyscrapers of Rockwell Center welcomed the group to Bahay Maria, an orphanage at the heart of Bel-air 3 village just across Ateneo Graduate School of Business. After the tiring but worthwhile "joyride," headed to Somerset Olympia near The Peninsula Manila for a well-deserved lunch. By car: from EDSA Ayala take the Estrella flyover going to Rockwell. You'll pass by Colegio de Sta. Rosa. On reaching the interserction of Rockwell drivewith Ateneo de Manila as landmark, turn left, enter the gate of Bel-air 3 then right at the first street. Bahay Maria is on your left just opposite Ateneo de Manila. The place is just on Taft Ave. near Libertad market. From Makati via EDSA, turn right at the corner of Taft Avenue then make a U-turn. a blue gate plus the foundation's name is prominently displayed at the entrance. Commuting there is easiest via the LRT or a jeepney going to Pasay/Taft/Rotonda from Manila. 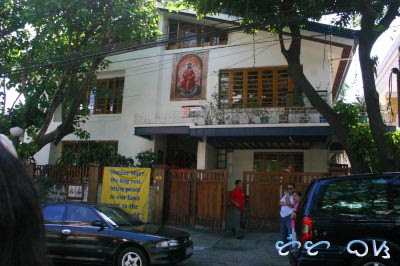 Asilo is on U.N. Ave in Manila just opposite Pope Pius XXII center. It's walking distance from LRT UN Avenue station where you'll pass by headquarters of Western Police District. 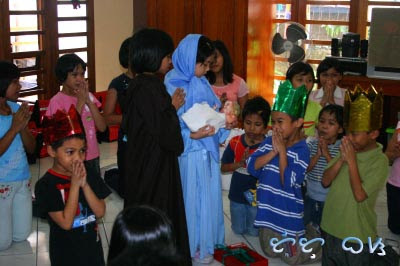 what you and your officemates do for the orphans is very fulfilling. btw, how much are those scented candles? The scented candles looked interesting. I am sure the children had fun! 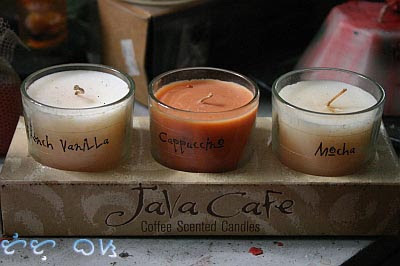 That scented candles looks so romantic. yes!I'm so curious with those scented candles,they're so unique and yet looks antique,that's why!!! Speechless!!! helping to the orphanage was great. hmmm that scented candles looks yummy! hahaa! This is really a great foundation, very noble cause. Keep up the great work and may God bless you all. ( http://mrsjenjangblog.blogspot.com or email me at www.mrsjenjangblog@gmail.com ...thank you..